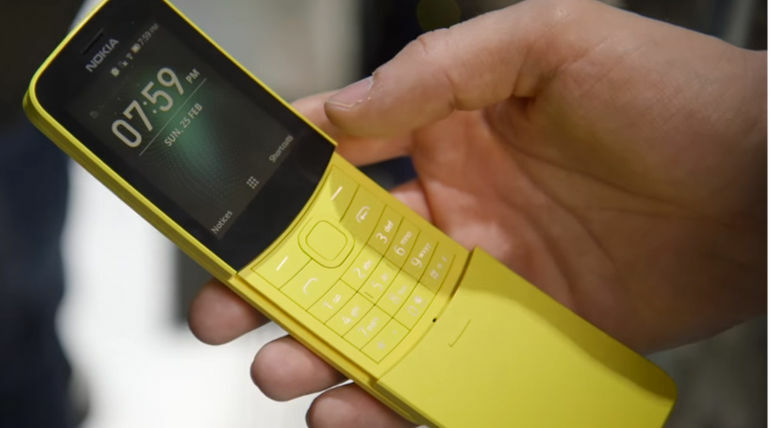 HMD Global owns Nokia brand and at the Mobile World Congress, 2018 held three months back, the company had unveiled 4G feature phone Nokia 8110 with its shape and colour similar to banana fruit. It has also appeared in black colour. According to recent updates, the company would be selling the model in Asian countries like Singapore and Vietnam by this month end expected at the price of $80. Globally, it will be available soon after the launches in Asian countries. Some of the major specifications are listed below. The news may be funny for those who use high-end/ medium budget smartphones but the present day smartphone users would have come across the most acclaimed Nokia feature phone models at least once.